This is my weekly wrap-up and the purpose of this weekly blog is to bring together my V-Blogs and regular blog posts all in one post. This way if you only want to check back once a week you won;t miss anything. I hope you find this wrap-up informative. If you have any suggestions please let me know. Thanks for stopping by. 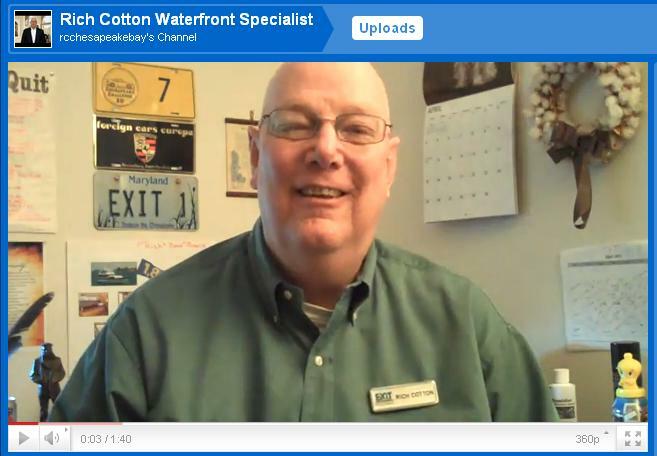 Rich Cotton The Waterfront Specialist Exit Realty Chesapeake Bay. The land is what the buyers feel in love with. The critical Areas legislation that controls our waterfront land use would never allow a home placement like this home has but......................... the new owners will demolish this house and rebuile their Dream Home on its footprint. 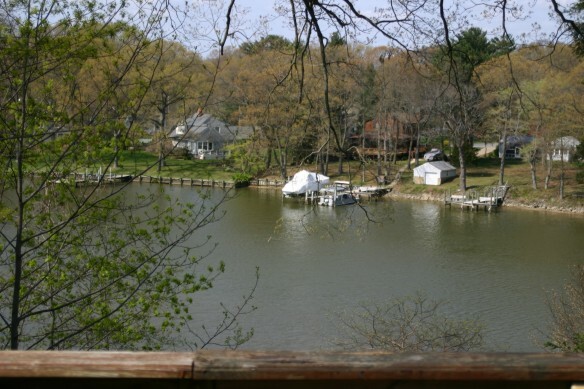 Take a look at the views and remember the trees can be trimmed to open up the view! 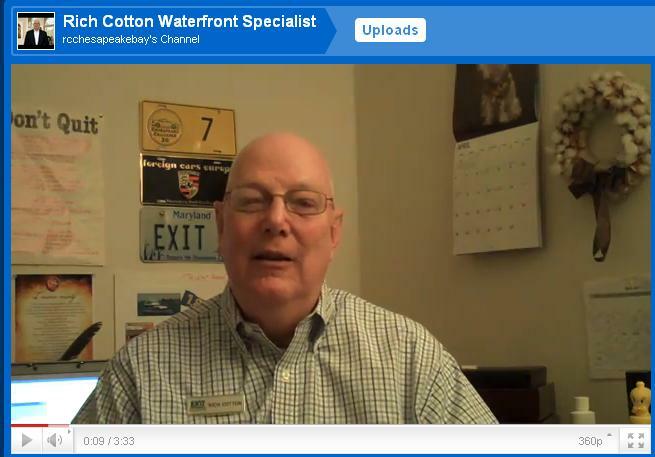 This video is about Cecil County's Board of Realtors Annual Mini-Vention. Each year there is a theme and this year was "It's A Zoo Out There." I interviewed some of the vendors and asked "What Makes It A Zoo Out There For You?" Listen to what they had to say. 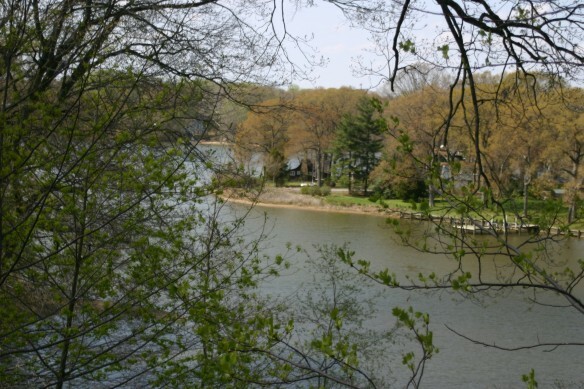 This video takes about our Cecil County Waterfront Real Estate Market. I explain that the Buyers interest has picked up and offers are being made. The Buyers are using the assessed valuation for a property as a benchmark for their offers. Attention History Buffs, Nature Lovers and Conservationist! Step back into time as you enter this 1700's home built by Samuel Gilpin located on 19+ acres at the head of Gilpin's Falls on the Little Northeast Creek.The country kitchen is just that with a large walk-in fireplace which was used for cooking in the early days....now it is home to a woodstove used for supplemental heating. 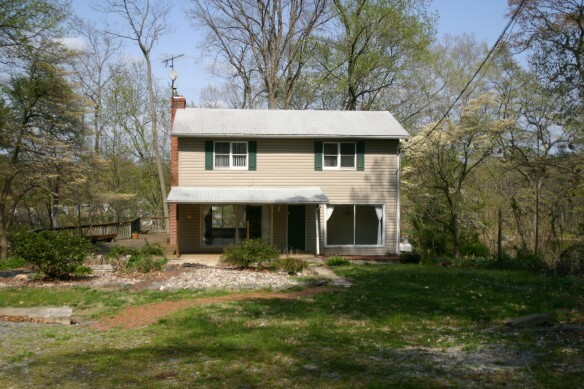 This 3 bedroom 2 bath home is truly one-of-a-kind overlooking the restored Gilpin's Falls Covered Bridge which dates back to 1860. The bridge is one of a few remaining covered bridges in Maryland. The living room has old hardwood floors, a beautiful stone fireplace and knotty pine walls which add to the room's ambiance. Unique woodwork and designs are found through out the home. 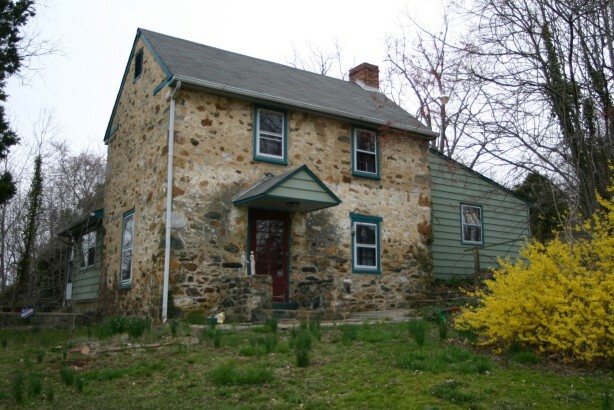 On the site there has been a Grist Mill, Lumber Mill, and Hydro Electric plants. Where did the power come from to run these enterprises? The kinetic energy of Gilpin's Falls was harnessed. The home was electrically self sufficent when the Electric plant was in operation and if you are interested in renewable resources there is a possibilty the plant could once more generate electric power. The property also meets the County criteria for a minor subdivision when satisfactory perc tests are performed. A variety of volcanic rock formations dating back to 540 million to 438 million years ago are displayed at Gilpin's Falls. These formations have been studied by college students from a tri-state area. A walk along the paths through the forest, among the rock formations, and along the creek is bound to leave you full of wonderment and appreciative of all that Mother Nature has to offer. Come experience this for yourself....At Gilpin's Falls.